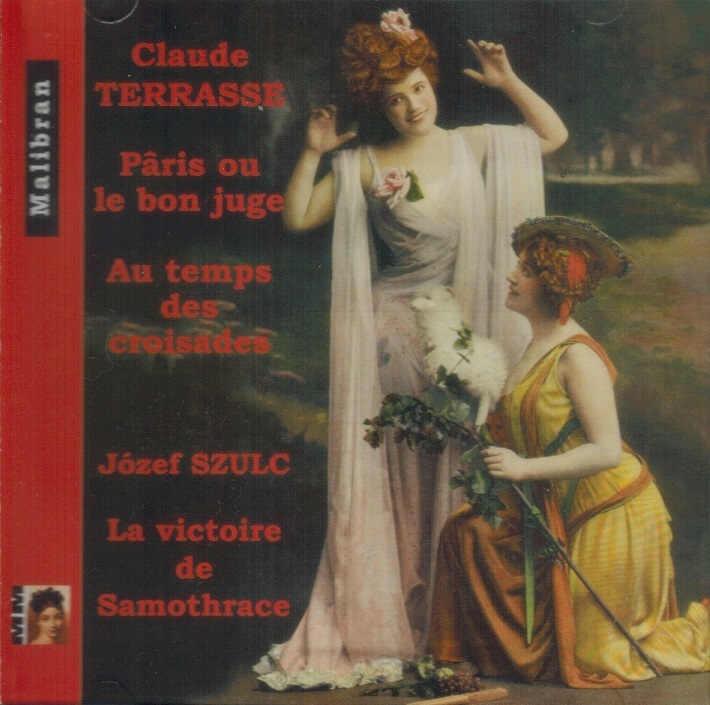 "PÂRIS OU LE BON JUGE premiered in Paris at the Théâtre des Capucines on 1 March 1906, revived 18 May 1908, again in Paris at La Scala in April 1911, finally at the Theatre Michel in Paris 4 March, 1922. The story, not surprisingly, did not have the good fortune to please the abbot Bethlehem: ‘Here, one is quickly fixed on the shameless character; do not play at the Opéra-Comique. Librettists take the precaution to warn their audience that they borrow their morals and their mores with these voluptuous Greeks, the Sappho Lesbian and the incestuous Oedipus. It is sufficient to judge in this book, many passages which are purely despicable. 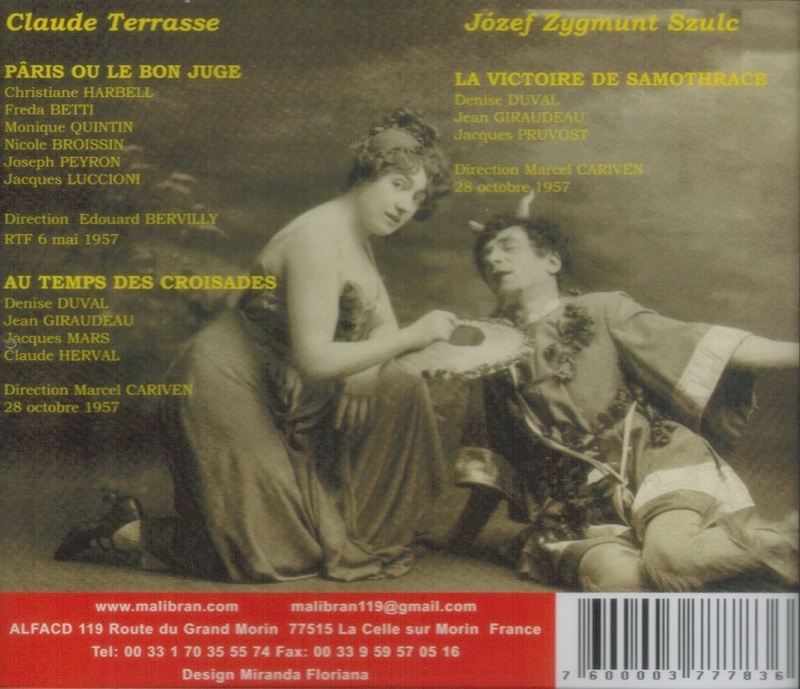 “AU TEMPS DES CROISADES premiered in Paris in the theater of Mathurins late 1901 and early 1902, but was banned. It then moved to Liège at the Flora Palace 2 December 1902. The new Paris premiere was at the Théâtre des Capucines 14 November 1903 under the title: VENIAL SIN. Its subject is of the very licentious Franc-Nohain who embroiders tasty dialogues with great delicacy of tone. Lady Bertrade is married by proxy to a lord who, the day after her wedding, left for the crusade. For three years, Bertrade languishes while two young maids also await his return to marry because, according to the feudal custom, ‘you cannot touch the dish before [the lord] will be used’. The servants show imagination to unlock this situation and eventually offer to use Bertrade in their promised sovereign, since it is she who replaces him in all things. ‘How it all will eventually get better, hearing this will teach you more fully. All I can say is that the same inconsistency that makes Macaronic history at times of excessive humor. A really pleasant buffoonery’." “Denise Duval didn't set out to be a muse. In 1947, as a freshly engaged contract singer, she was rehearsing MADAMA BUTTERFLY at Paris’ Opéra-Comique when a voice bellowed from the darkened auditorium, ‘That’s the soprano I need!’ It was Francis Poulenc, in search of a leading lady for his new comic opera, LES MAMELLES DE TIRÉSIAS. In his frustrated state, he’d likely have settled for almost any suitable singer; instead, he’d just found his ideal. For the next sixteen years - until the end of his life - Denise Duval was his colleague, his friend, his inspiration….it was with the Bordeaux Opéra that she made her professional stage début in 1943 as Lola in CAVALLERIA RUSTICANA. Over her next two years there, she graduated to Santuzza and to a wide range of roles better suited to her lean, pointed, typically Gallic lyric soprano - Marguerite in FAUST, Mimì, Micaela, Mélisande, Thaïs, and the one that became an early calling-card, Cio-Cio-San. In 1945, Duval traveled to Paris for an audition at the Opéra - and wound up, through a chain of fortuitous connections, with a year’s contract at the Folies-Bergère, where night after night, discreetly costumed, she sang ‘Un bel dì’ and a Chopin song. ‘My parents were thunderstruck, and my teacher nearly had a stroke’, she recalled years later. The Opéra and the Opéra-Comique finally beckoned, and she made her début at the bigger house, as Salomé in HÉRODIADE, and at its smaller sibling in that career-changing BUTTERFLY. When the frothy, satirical MAMELLES had its premiere, in June 1947 - incongruously, after an already full evening of TOSCA - it was ‘booed, insulted and hissed’, Duval remembered. But like so many other Parisian theatrical scandals, it quickly became an event, and Poulenc soon was writing to a friend, ‘I have an unbelievable Thérèse who is stunning Paris with her beauty, her gifts as an actress and her voice’….Her career blossomed further at both the Opéra and the Comique, where in 1949 she created another role, Francesca in Reynaldo Hahn’s posthumously staged LE OUI DES JEUNES FILLES. 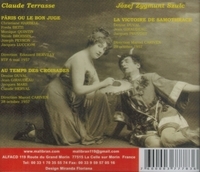 In 1952 and 1953, for EMI, she made her first recordings, as Concepción in L’HEURE ESPAGNOLE and as Thérèse in MAMELLES. Her professional itinerary broadened its reach to Monte Carlo, Milan, Aix, Cologne and Florence. But she didn’t hit full stride until 1957, when, at the Opéra, she sang in the French-language premiere of DIALOGUES DES CARMÉLITES, as Blanche, a role Poulenc wrote for her and one she memorably committed to disc on EMI’s still unsurpassed original-Paris-cast recording. In 1959, she scored a still more indelible success as Elle in the premiere (at the Comique) of LA VOIX HUMAINE, the Jean Cocteau monodrama couture-tailored to her talents by Poulenc. In 1960, she repeated that triumph for the opera’s British début (at Edinburgh, with Glyndebourne forces) and its American premiere, as half of an American Opera Society double bill with MAMELLES at Carnegie Hall. The latter stirred the Times’s Howard Taubman to write, ‘It is difficult to imagine a more convincing and more affecting performance than Miss Duval’s’. It led, too, to her Dallas Civic Opera début in 1961, in an elaborate THAÏS directed by Franco Zeffirelli, just as the Edinburgh engagement prompted a two-summer run at Glyndebourne as Mélisande. A broadcast of the second-year revival, from 1963, was issued on official Glyndebourne CDs. But Poulenc had died earlier that year, and Duval never quite rallied. Following what turned out to be the last of her dozens of performances of Blanche, in Buenos Aires in 1965, she collapsed from a cortisone overdose and essentially retired from singing. After a lengthy recovery, she taught at the École Française de Musique and occasionally directed. But she left two treasured mementi of those latter years - a 1970 film (by director Dominique Delouche) of LA VOIX HUMAINE, in which she gives a riveting lip-synched performance to her own classic recording of a decade earlier; and a master class captured by Delouche in 1998, in which, still très soignée at seventy-seven, she remains the Elle with whom all her successors must reckon.